From time to time people come to the Bodleian with something they have found in their attic. They say they want to know what it is, but what they really want to know is what it’s worth. I was usually able to identify what they brought in, but was not allowed to value it, even if I could. The manuscript I’m about to describe was brought to me by a Mr Turner in the summer of 1979, just three years after I joined the Library. Although photocopiers had been invented at that time, I didn’t have one, and scanners weren’t even dreamed of, so I transcribed it by hand. At the same time I identified it and wrote a couple of paragraphs on it for the owner. When he returned to collect it I offered to buy it from him once he had got a valuation from commercial dealers, but he never came back and I never saw the document again. But I kept my transcription together with a carbon copy of my identification, and came across it for the first time in nearly forty years when clearing out my room as instructed, prior to my dismissal (see my previous blog entry). The manuscript is a piece of ephemera of the sort I have recently become rather interested in. 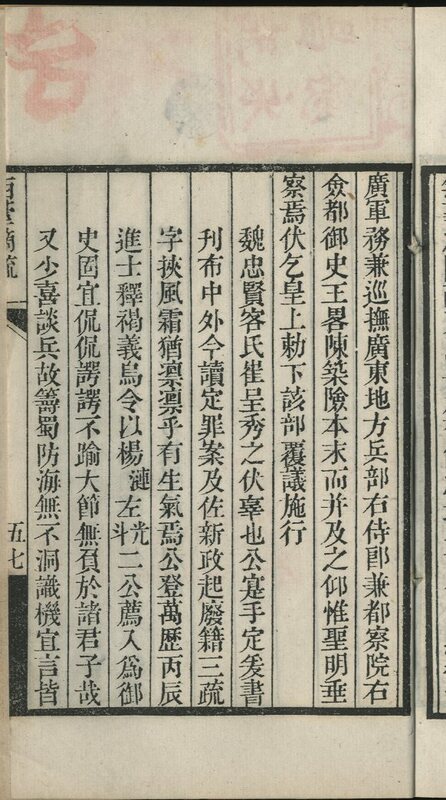 And so have the Chinese, who have started publishing collections of it which they sometimes call guzhidui 故紙堆, or “piles of old papers”. Ephemera is notoriously difficult to catalogue and make accessible to readers, but is of immense value in putting flesh on the bare bones of historical fact. 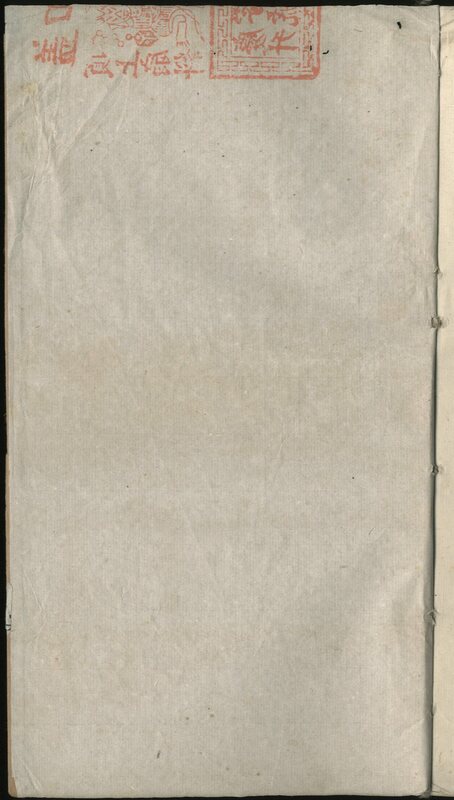 Mr Turner’s manuscript illustrates this perfectly. 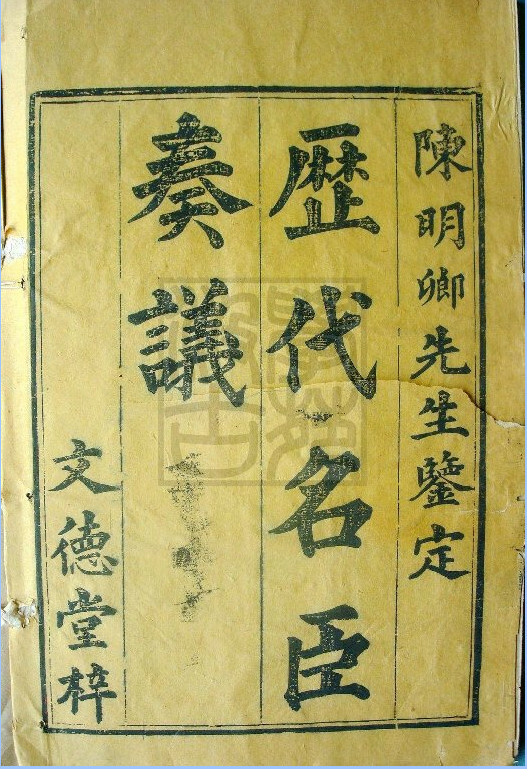 It is a notice from the acting magistrates of Nanhai 南海 and Panyu 番禺, two towns near Canton. It is quite large, 55cm high. and 66cm. wide, and is one of several copies that would have been made to be posted on the city walls near the main gates. It is dated the 17th day of the 5th month of the 20th year of Guangxu, which in the western calendar is 20 June 1894. 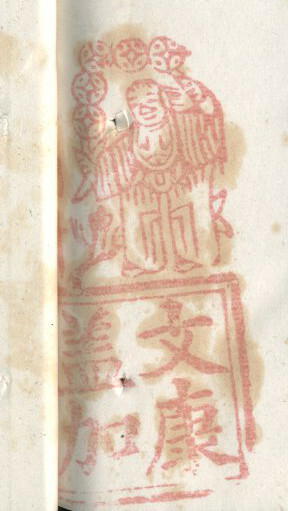 It bears two seals applied side by side over the characters 「二十」 in the date. 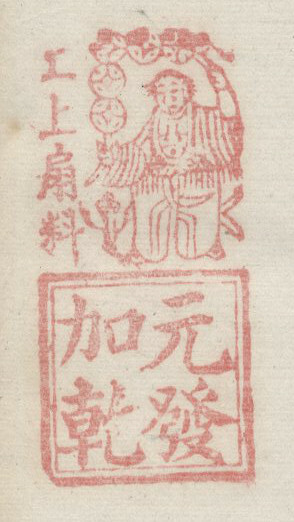 One is the official seal of Nanhai, and the other, which is illegible, is probably that of Panyu. 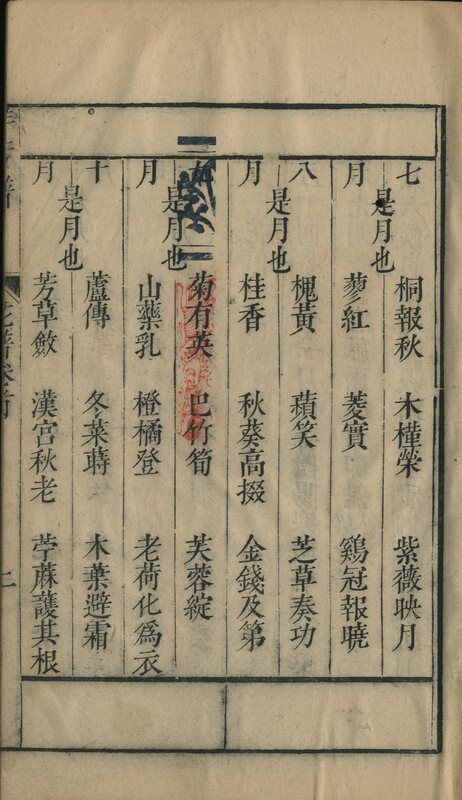 The day of the month 「十七」 is written in red and would have been filled in after the rest of the document had been completed, just prior to its issue; and also written in red are the check marks and signature of the clerk who prepared it. It is immediately apparent that Mr Turner’s piece of ephemera tells us very much more than the laconic mentions in the gazetteers. The epidemic has been troubling the region for several months. There is a rumour that it has been caused by poison planted by foreign missionaries, but this cannot be true as it has also affected the foreign residents of Hong Kong. The rumour has been put about by trouble makers with the object of causing a disturbance. The magistrates have posted the bill to inform people that the trouble makers have been arrested and punished, and that the epidemic is now abating so that they may go about their business as usual. They should pay no attention to the fabrications of trouble makers, and should obey the magisterial commands in fear and trembling. If this text gets picked up by web crawlers and becomes searchable, and if this is the only form in which it survives, which it probably is, I will feel that my blog entry will have served a useful purpose, if only a small one. And if we had the time and resources to treat the countless pieces of ephemera in our libraries similarly, surely that would be a job worth doing. Earlier this year I was dismissed from my post on the grounds of age, a questionable and not entirely lawful practice which in Great Britain is carried out only at the Universities of Oxford, Cambridge, and St Andrews, where it is known as “retirement”. The occasion was marked by nothing more than a single message from my superior telling me to clear my office of all personal effects by 30 September. Thus charmingly were my forty-one years of service to the Bodleian Library and its collections brought to a close. But now to more edifying matters – lithography, for example. In 1988 I attended the “International Conference on Resources for Chinese Studies” that took place at the National Central Library in Taipei between 30 November and 3 December. 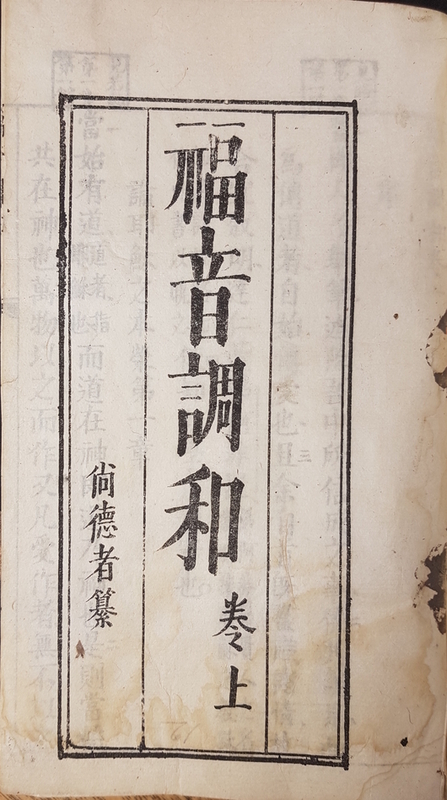 My contribution was entitled Two collections of nineteenth-century Protestant missionary publications in Chinese in the Bodleian Library, and this was subsequently published in Chinese culture 31:4 (December 1990), 21-38. 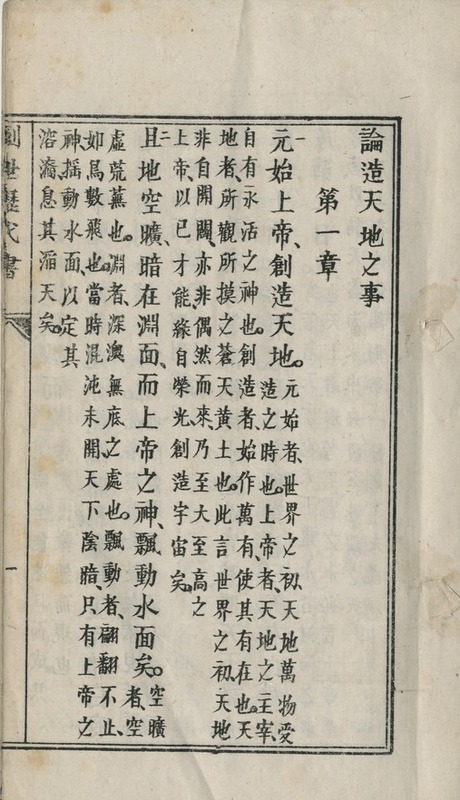 In it, I concentrated on the value of these collections in exemplifying the introduction of western printing techniques into China, for which the Protestant missionaries were entirely responsible. What follows is an enlargement, with the addition of illustrations, of the passage I wrote on lithography (26-27). 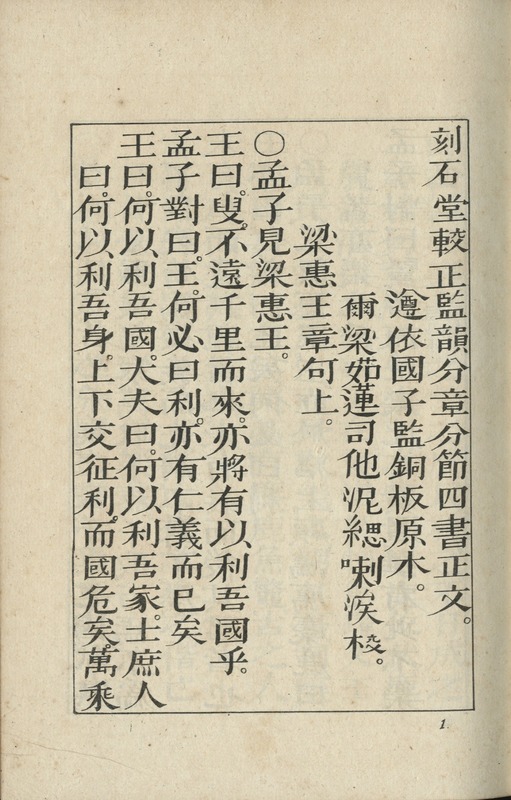 I can’t remember how I discovered what I believe to be the earliest use of lithography for reproducing Chinese text, but when I first came to the Bodleian in 1976 the compilation of the Pre-1920 Catalogue was in full swing, and I was surrounded by colleagues who knew the Library’s collections inside out. Perhaps one of them brought it to my attention. 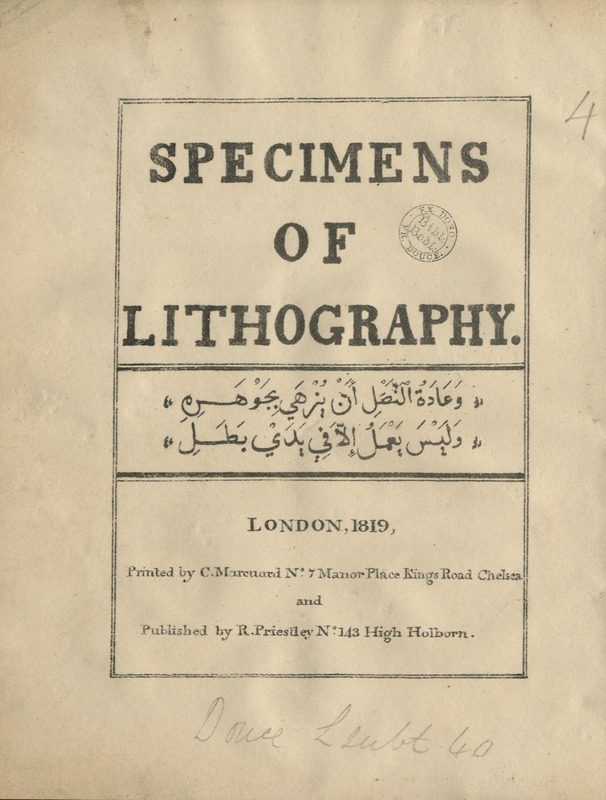 According to its preface, it was compiled and published precisely to demonstrate the ability of lithography to reproduce oriental scripts. Lithography had been invented in 1796 by the German author and actor Alois Senefelder as a cheap method of publishing theatrical works, but this book appeared over twenty years later. 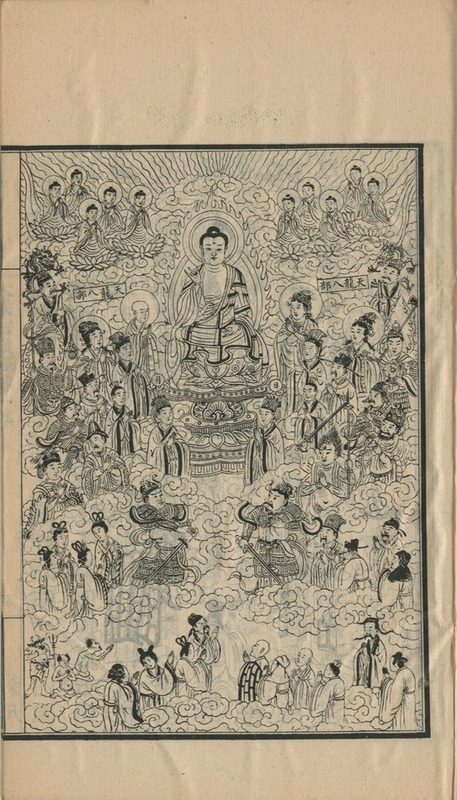 So I wouldn’t be surprised if there was an earlier example of Chinese lithography, but I don’t know of one. It seems to be very rare, and it is unsurprising that the Bodleian’s copy is found in the collection of Francis Douce (Douce L subt. 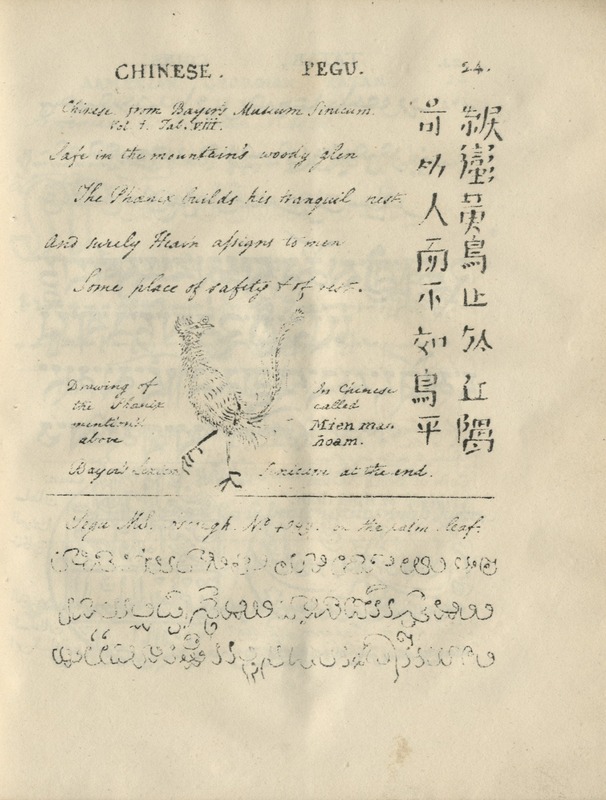 40); Douce had an intense interest in printing, and the Chinese section of his collection although small contains some real gems – our copy of the Red Decree, for example, which was the subject of my second blog entry in 2011. Moving now to the East, the technique is taken up by Walter Henry Medhurst, who you may recall (if you read my earlier blog entry on the woodblock) was a printer by training, and had been engaged by the London Missionary Society to set up a press first in Malacca, and then in Batavia in the 1820s. 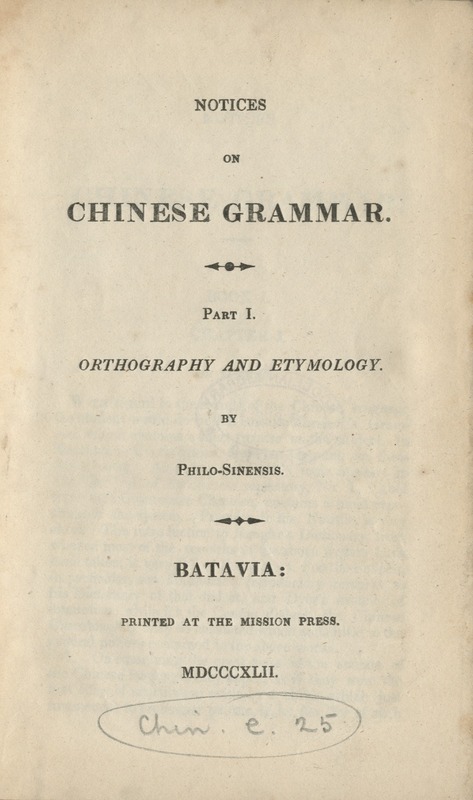 Four years later, in 1834, under the pseudonym Typographus Sinensis, he wrote a detailed account of the advantages and disadvantages of the various methods of printing Chinese in the Chinese repository (3, October 1834, 246-252). 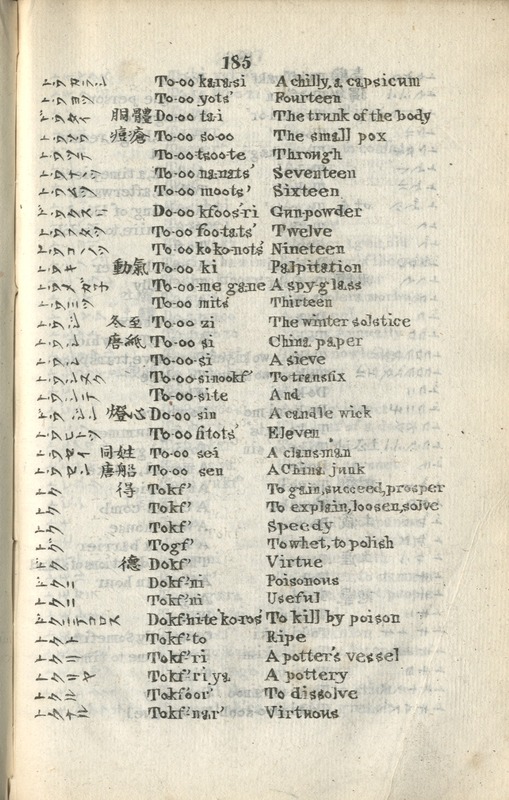 One of the advantages was that the technique “is well adapted for printing alternately in various languages, for mixing different characters, or publishing books in a new character for which no types have yet been formed” (p.250). His English and Japanese vocabulary is an example of this. 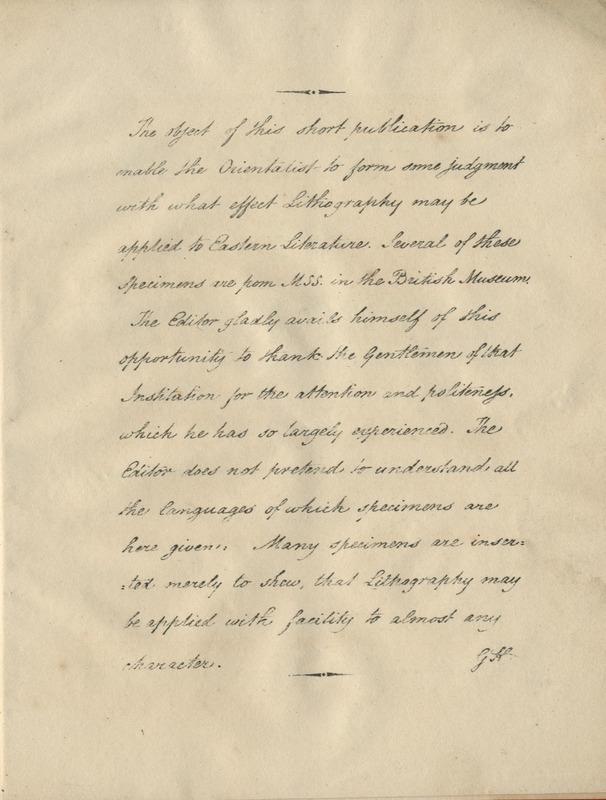 And in 1837 he published a complete New Testament using lithography, of which there is a copy in the Bible Society’s collection which is now in Cambridge University Library; I have not yet seen it. 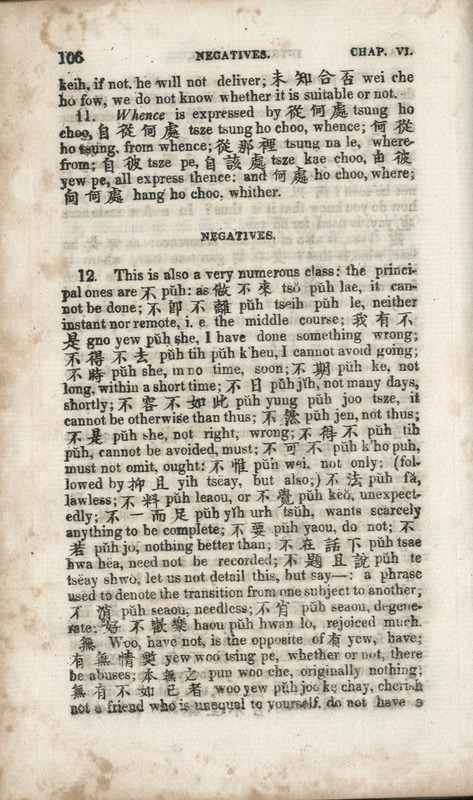 Finally, in 1842, he again used lithography for mixed language printing, but in a rather different way, in his Notices on Chinese grammar. 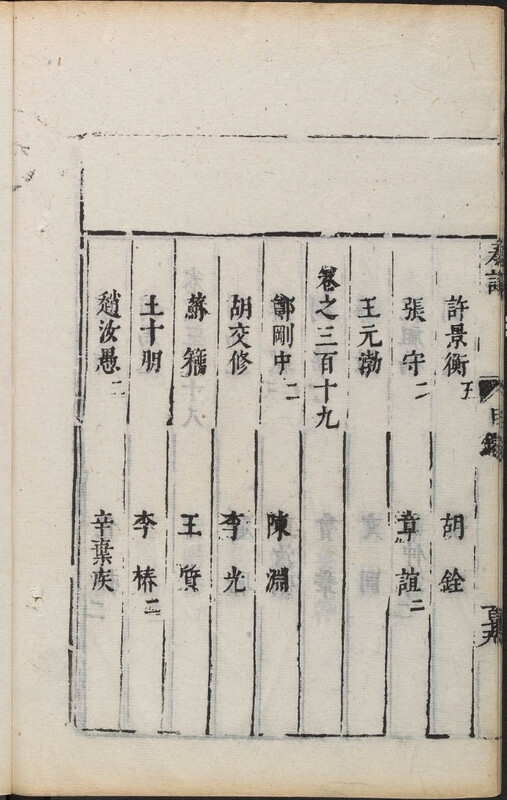 This was described in the Chinese repository (11, June 1842, 317) as “a book almost unique in its mode of printing”. 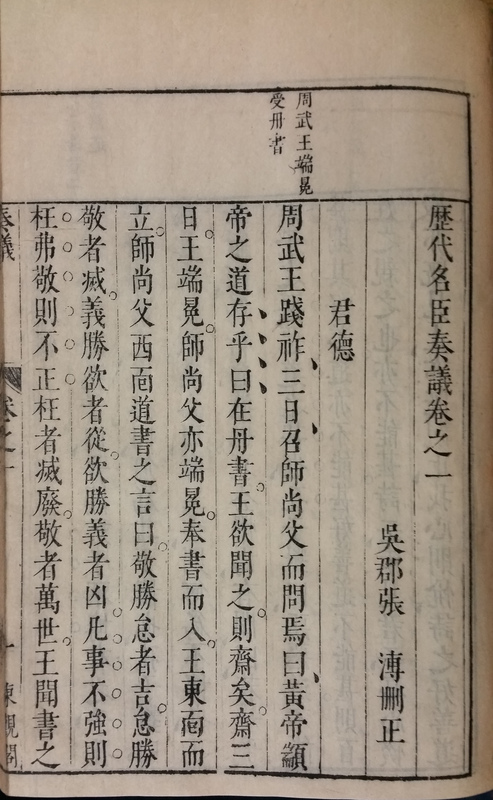 Here Medhurst used typography for the English text, leaving spaces where the Chinese characters were to appear. An impression was then taken and transferred to the lithographic stone. 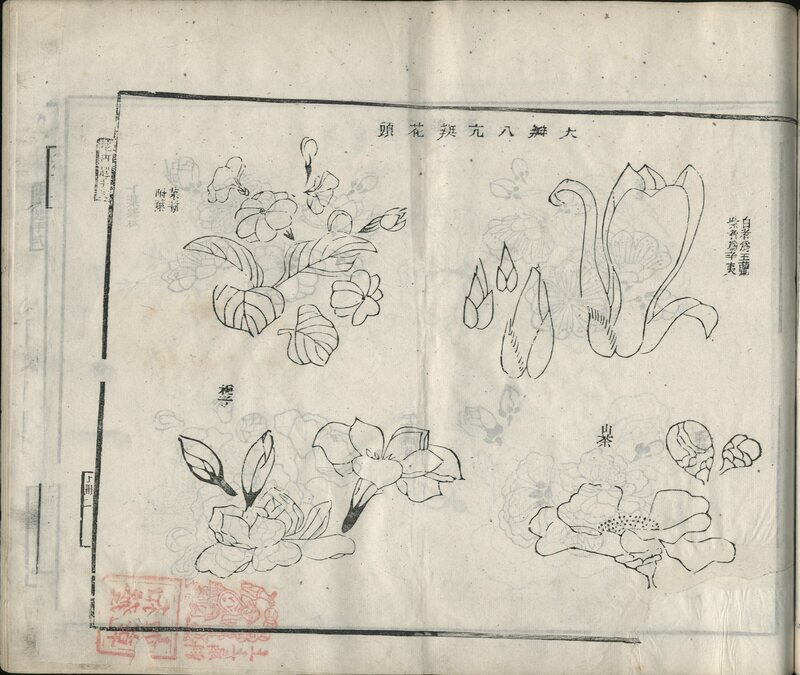 The Chinese characters were then drawn directly on to the stone, and the whole then printed by ordinary lithography. All this notwithstanding, throughout the nineteenth century the direction of travel in missionary printing was towards the development of western typography. Of the 1,323 different nineteenth-century Protestant missionary publications in the Bodleian’s collections, probably the biggest and most representative in existence, only 163 were printed lithographically – just over 12%. The invention of offset photolithography in the mid-nineteenth century and its large-scale use by the big Shanghai publishers and even the Chinese government is a different phenomenon, much more influential, and much better documented. 1. When I wrote this blog entry just over a year ago, I did not have any images of this edition. So yesterday (1 March 2019) I re-examinied it (having originally catalogued it in the summer of 2009) and took the images I now reproduce with the kind permission of the Angus Library. Quite recently, along with a number of other books in the library, it was soaked by an overflowing shower on a floor above (the library is in the basement). It was freeze-dried and survives relatively unscathed, although a little water-damage is visible. 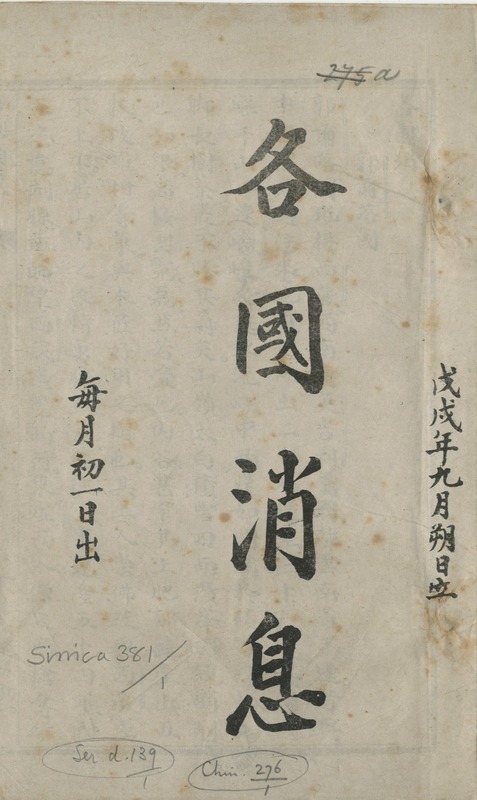 In an earlier blog entry, Survey of the Great Ming Empire, I discussed an edition which had been made sometime around the year 1600, not long before the fall of the Ming. 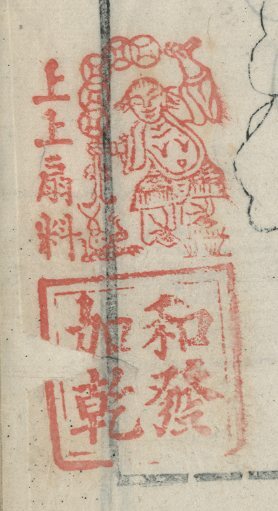 The printing blocks of such a large-scale work represented a huge investment to their owner, but became a liability on the accession of the Qing, so they had to be modified. This made it particularly difficult for me to identify the edition at a time when I was still learning the trade, when I had access to few printed library catalogues, and when the internet was still a long way off. Another edition which puzzled me at that time was a collection of memorials of famous ministers. Like the Survey of the Great Ming Empire, it is a large work. 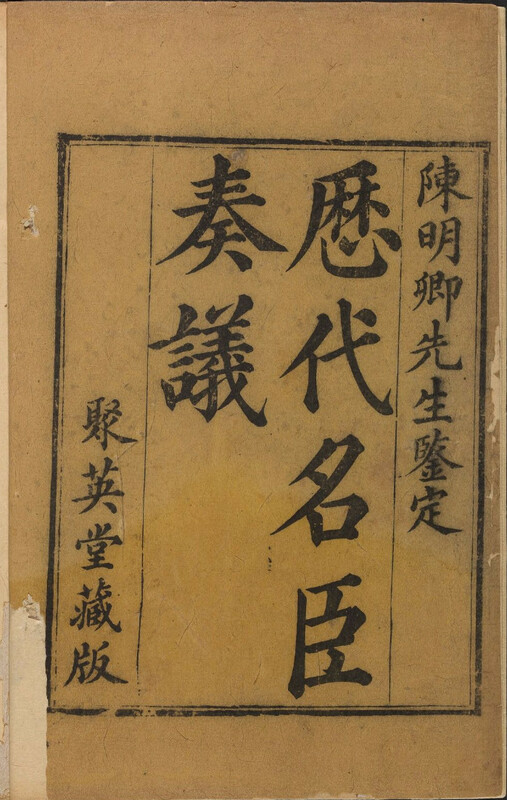 It had originally been compiled and printed in 1416 by order of the Yongle emperor. 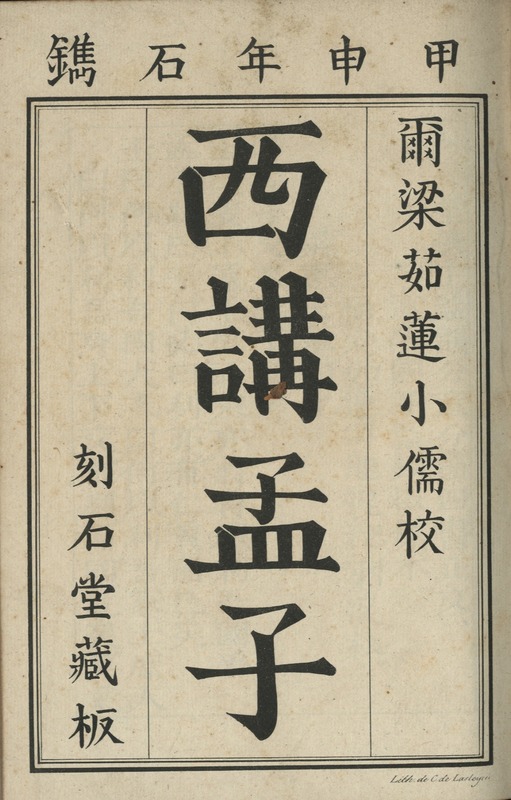 Our edition has a preface preface dated 1635 (崇禎八年), and is in 319 juan. 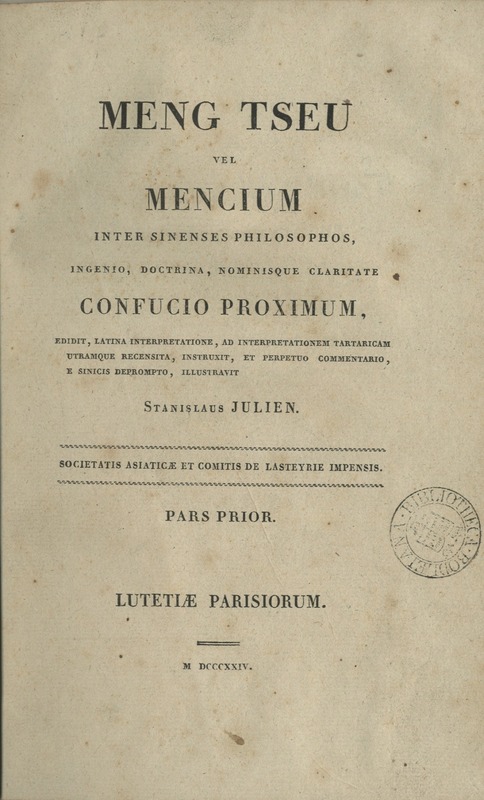 The problem I had when I first encountered it is that all other copies of the edition had 350 juan, like the original Yongle edition; the only 319-juan version that I could find was in the rare book catalogue of the National Central Library. 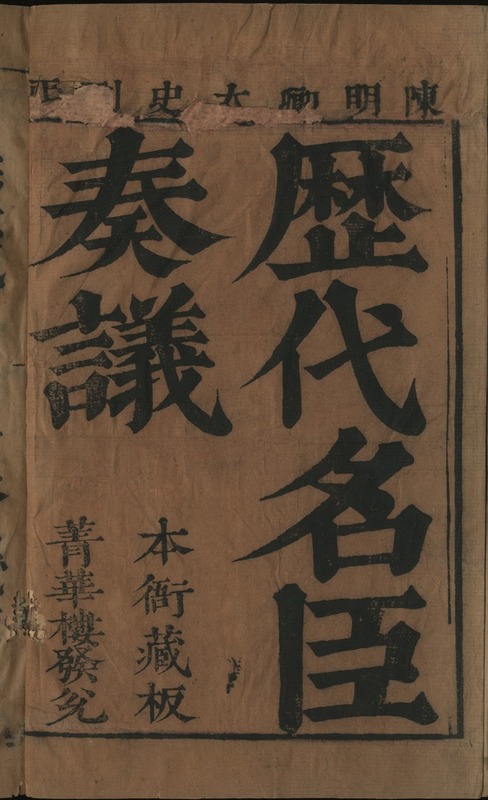 When Shen Jin 沈津 was cataloguing the Harvard copy of this work, he also came across the National Central Library’s copy and thought that it might be simply be defective . But an examination of the Backhouse copy’s table of contents shows that this is not the case. The final page had not been tampered with, and was clearly an impression from a block that ended with juan 319. 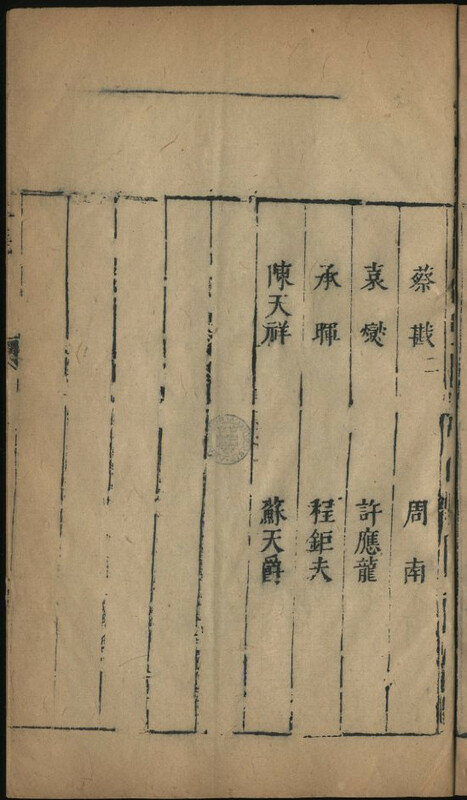 The reason why the final 31 juan had been omitted and all evidence of them excised from the table of contents block must surely be because they were concerned with the northern border regions (御邊) and the barbarians that inhabited them (夷狄). 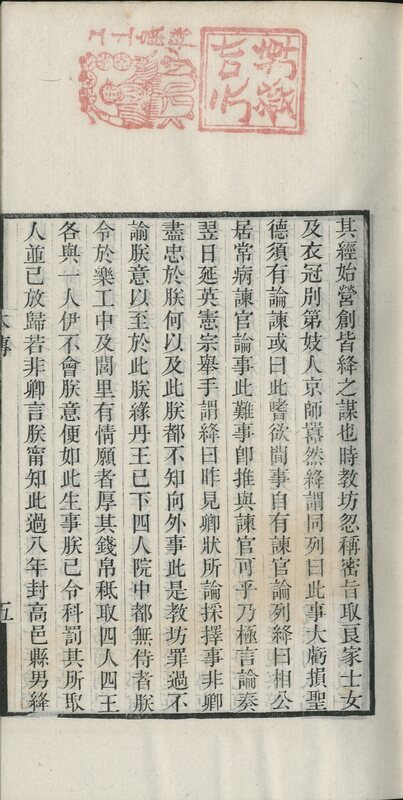 Once these barbarians had become the new dynasty, whoever owned the blocks at that time clearly felt that those chapters had to go (although a century later the complete 350-juan version was included in Siku quanshu 四庫全書). But that is not the end of the story. 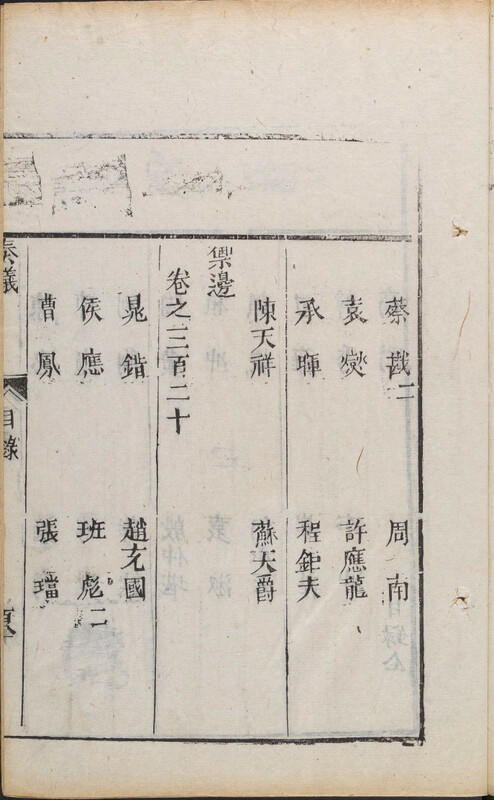 Many copies of the Chongzhen edition have now been catalogued online, some with specimen pages. Although many of these catalogue entries are vague, ill-researched, and possibly wrong (as indeed was my first effort), I think the evidence is sufficient to provide a perfect case study of how blocks were modified to reflect changes in ownership, politics, and scholarly fashions. So I will describe each stage of its development evolution. 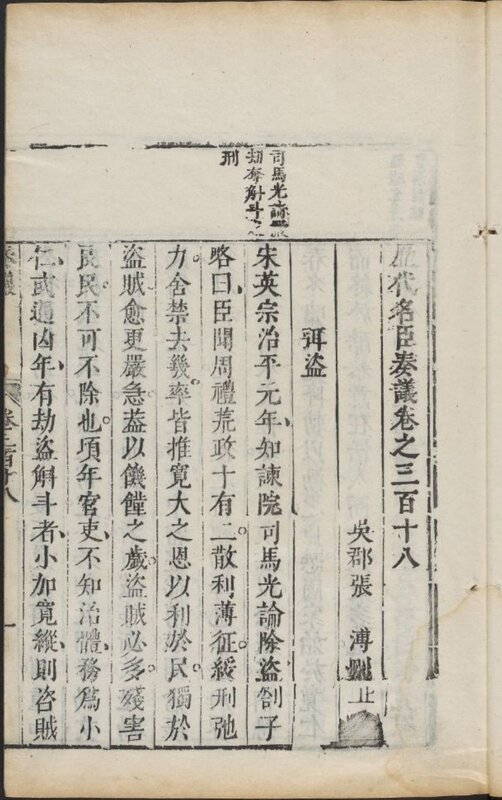 That the Chongzhen edition was actually a cut-down version of the original Yongle edition made by the famous Ming scholar Zhang Pu 張溥 (1602-1641) is stated clearly at the beginning of each chapter: 「吳郡張溥刪正」. But although it had been cut down in size, it still had 350 juan. 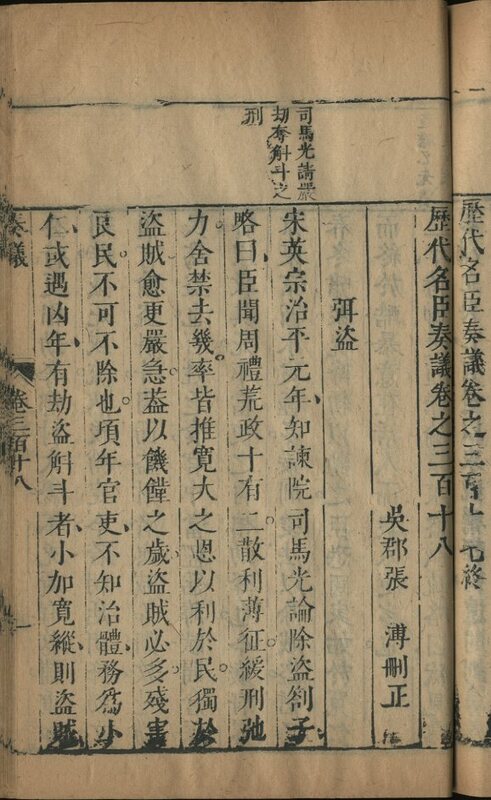 From the lower banxin 版心下 we see that the blocks were cut by a printing shop called Dongguange 東觀閣, to which I can find no further reference; furthermore, these characters are found only on the first two leaves of the preface and the first two leaves of juan 1. However, doctoring wooden blocks in this way is expensive and time-consuming, and we rarely find editions where it has been done perfectly, especially in large editions like this, where replacements were needed at the beginnings of 319 juan. I haven’t been able to examine any copies in Far Eastern libraries, but the Oxford and Harvard copies suggest that the change was only ever effected at the beginning of the following sixteen juan: 1-10, 13, 20, 131-134. 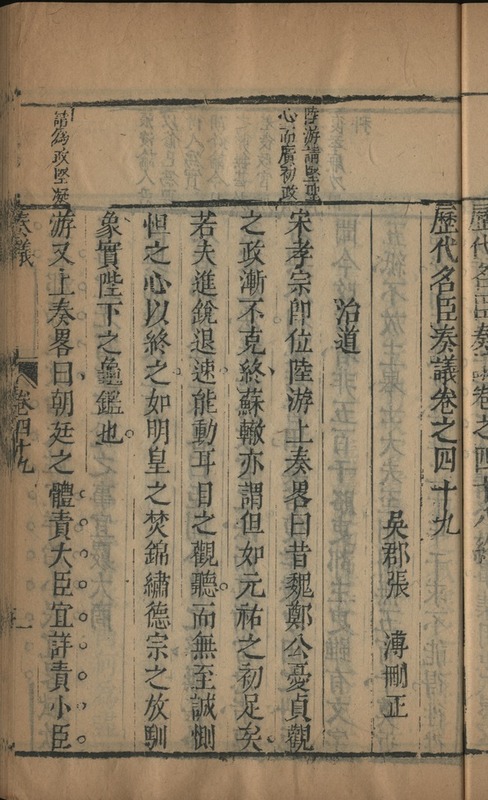 Now, for some reason, it was felt necessary to dissociate Zhang Pu from the edition and to associate it with his contemporary Chen Renxi 陳仁錫 (字明卿, 1581-1636) instead, and we find a whole series of copies where his name has been removed from the juan beginnings. 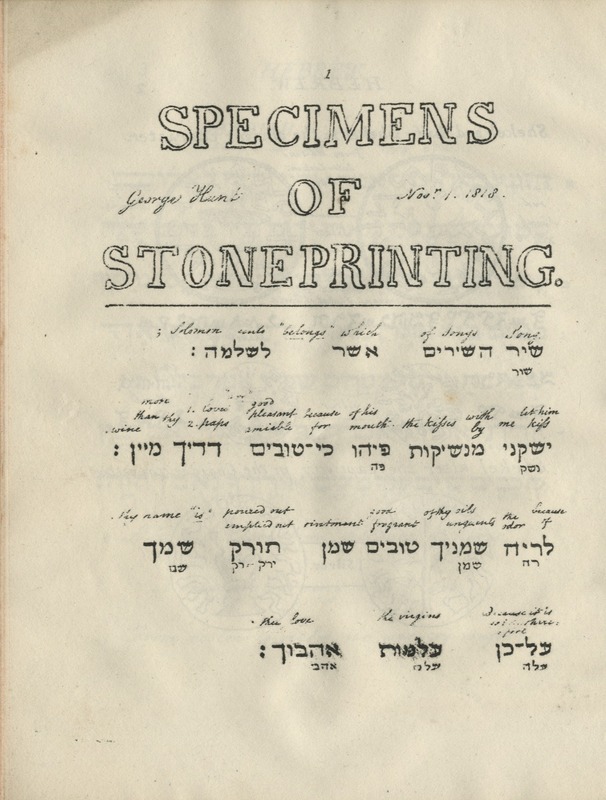 The blocks evidently changed hands and were repaired in this stage of the edition, but from the specimen pages it is difficult to establish in what order the impressions were made, as they inevitably reflect not only the degradation of the blocks, but the care with which they were inked and the impressions taken. 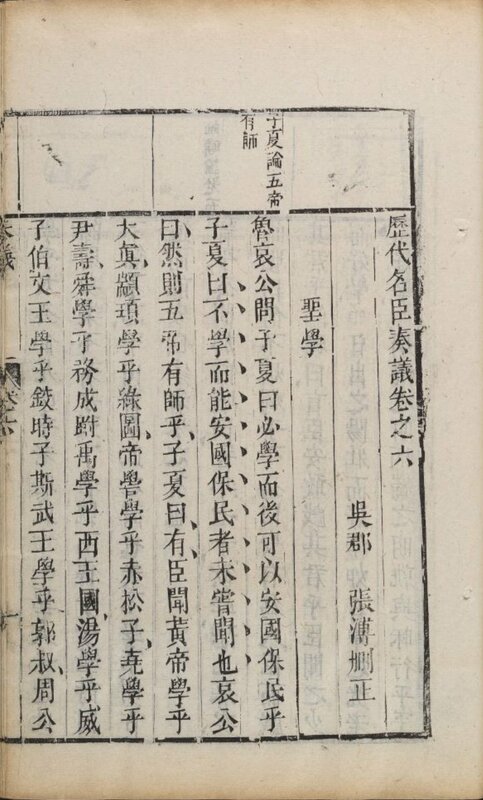 The words「本衙藏板」 on the fengmian of the Fudan copy are formulaic are probably not true. 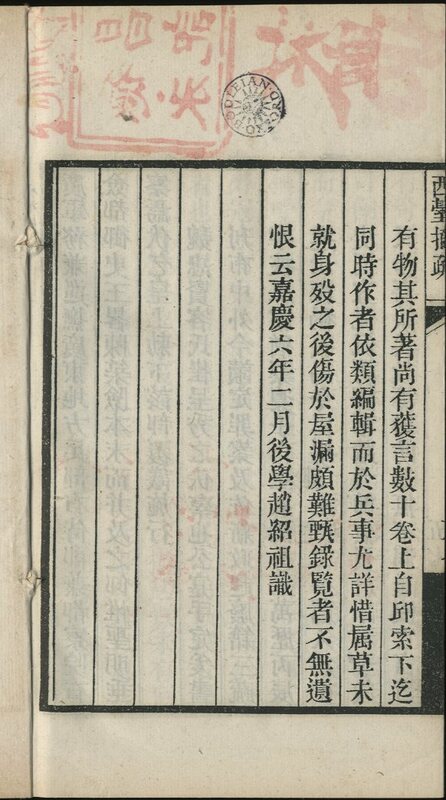 And the words「文德堂梓」on the fengmian of the Nanjing copy are obviously nonsense – whatever the Wendetang may have done to the blocks, it certainly didn’t cut them. It is not clear to me why it was felt necessary to replace the name of one famous late Ming author with another. 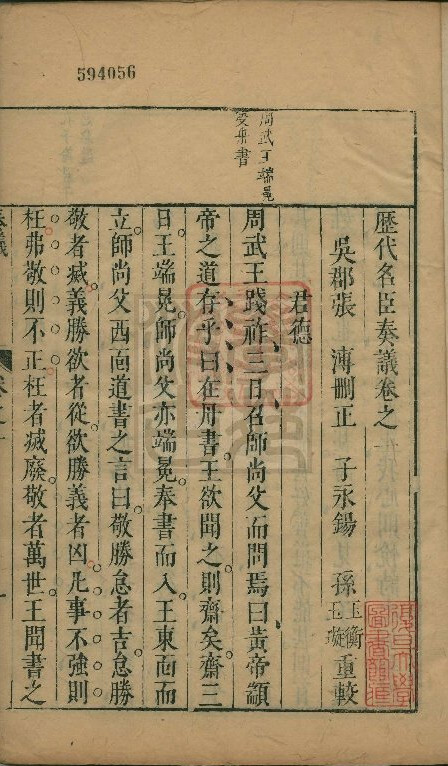 Zhang Pu was not a figure who was out of favour in the Qing Dynasty – indeed, four of his works were reviewed in Siku quanshu zongmu tiyao 四庫全書總目提要, and one was actually included in the final manuscript. 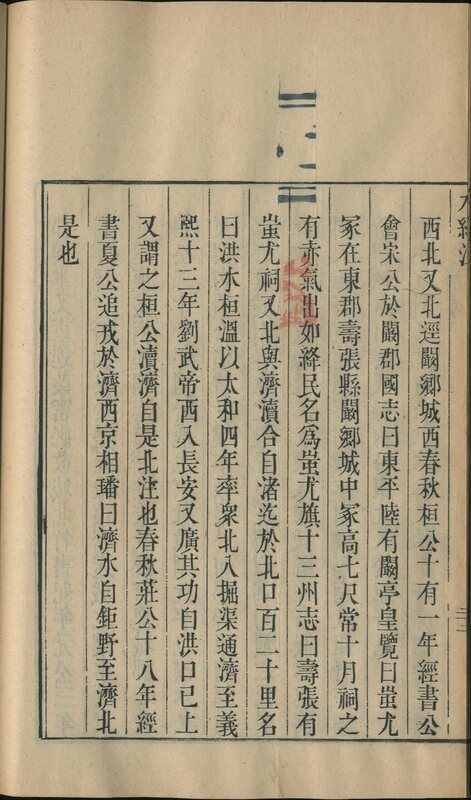 However, in the review of the original Yongle edition of the memorials in the tiyao 提要 (卷55, 史部11), Zhang Pu’s edition is described in rather unflattering terms. 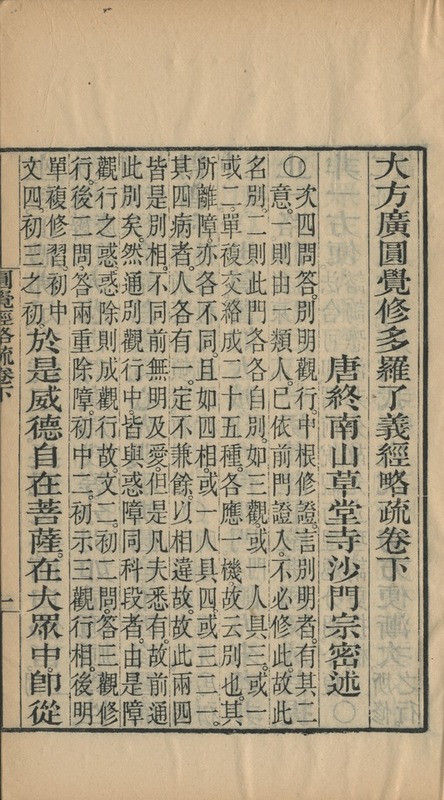 There is criticism of the way in which he has carried out the pruning of the original text, which is particularly severe in the periods following the Tang 唐. 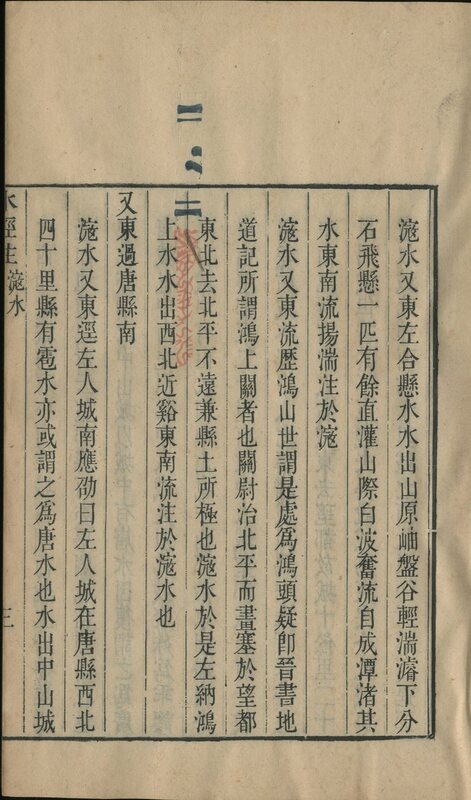 An extreme example of this is juan 83, where Zhang Pu has reduced the 34 leaves of the Yongle edition to a single leaf in his own. 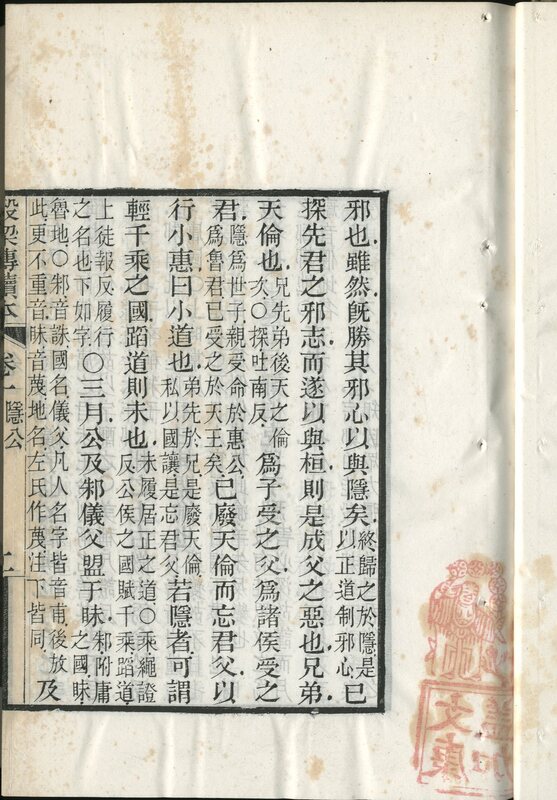 But it is hard to say whether this would have had any bearing on the saleability of the edition, even if the blocks were still around 150 years after they had been cut (the tiyao were not submitted to the throne until 1781). Throughout the process of charting the development of this edition, I had been closing my eyes to references in various catalogues to a version in 320-juan in the hope that they would go away, but unfortunately they didn’t. 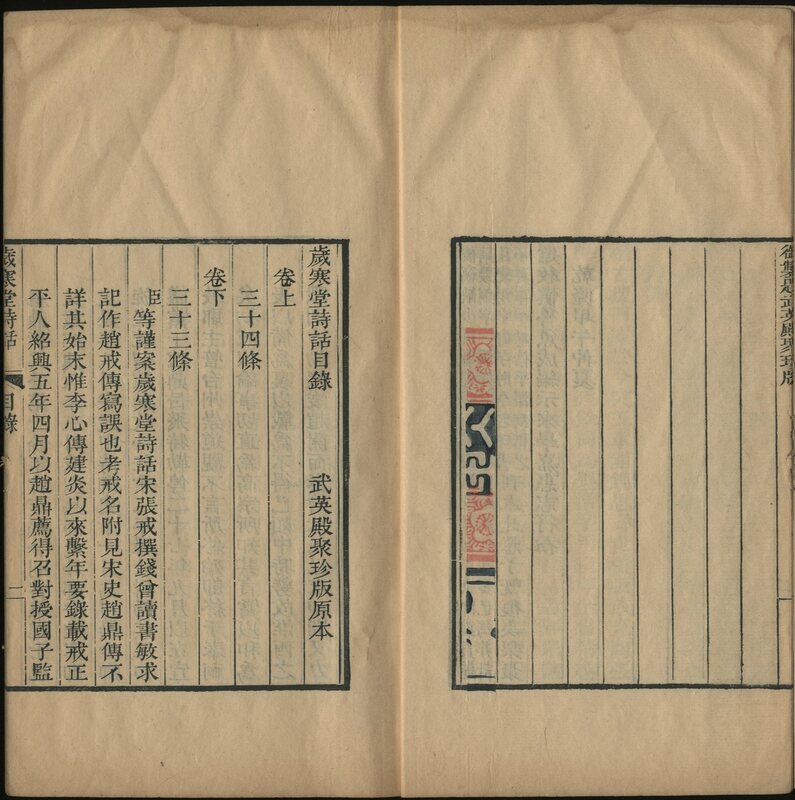 A single maverick entry might reasonably be ignored, but not references to copies in the libraries of Fudan University, Jilin University, Zhongshan Daxue, Hong Kong University, and in Japan the Toyo Bunko, Tokyo University, Hosei University, and Nagasaki University. Nearer to home, there is also a copy in Leiden University Library and my colleague Marc Gilbert very kindly sent me some photographs of it, but these only increased my puzzlement, as they suggested that the version in 320 juan was later, not earlier, than the version in 319 juan. Eventually, this indeed proved to be the case. 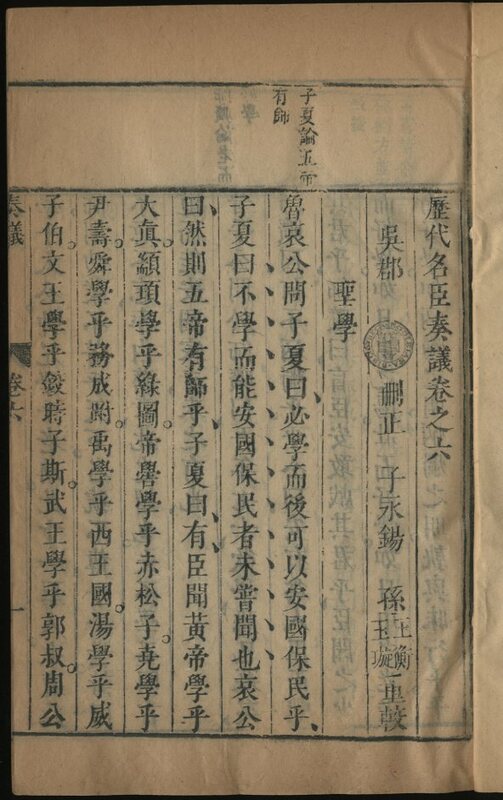 It is possible to view online a complete edition of the 320-juan version in Harvard, where it has been digitised (but in a most egregious error, the copy has been described as having 350 juan in both the online catalogue record to which it is attached as well as in both editions of Shen Jin’s printed catalogue quoted above). So I went to Cambridge (the original Cambridge, that is) with a few dozen images from the Backhouse copy to compare all three versions. My comparison left the chronological sequence in no doubt. Sometimes the blocks of all three versions are the same; sometimes they are all different. Sometimes the 319-juan block is the same as the 350-juan block but different from the 320-juan block; sometimes it is the same as the 320-juan block but different from the 350-juan block. But the 320-juan block is never the same as the 350-juan block but different from the 319-juan block, which proves conclusively that the 320-juan version is the latest. Actually, making this comparison was not easy, and during the course of it I found many examples in the 320-juan version both of blocks that been re-cut in their entirety and some that had only been repaired. I can think of no reason why juan 320 was restored other than to turn the edition into something that didn’t look as if it had been fiddled with. But if this is so, I wonder why the new end leaf of the table of contents was not cut in the same format as the others. This is by far the most complicated case of block-altering and re-issuing that I have ever encountered, and it has taken me an inordinate length of time to determine and define the publishing history of the edition. I am dissatisfied with the outcome, as I can’t explain the reason for the most striking change: why the attribution was changed from Zhang Pu to Chen Renxi and then finally back again. Now I ought to plough through the text of the Oxford and Harvard copies to see what (if any) taboo characters have been altered. This would enable us to establish at least approximate dates for the various impressions. 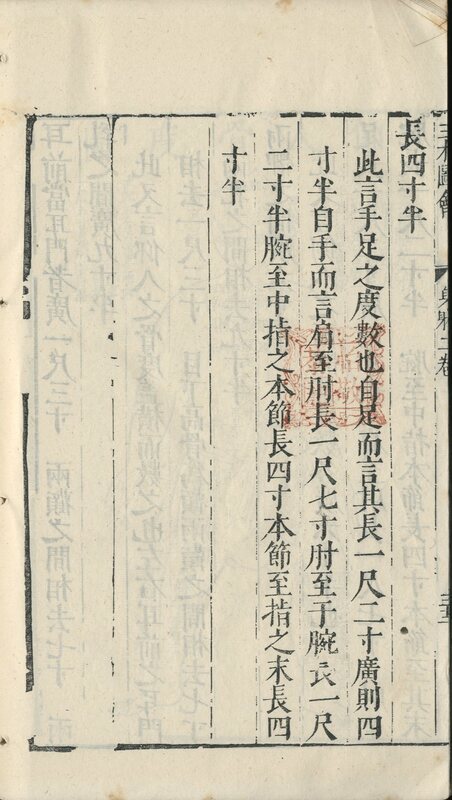 沈津: 美國哈佛大學哈佛燕京圖書館中文善本書志 (上海: 上海辭書出版社, 1999), 155-156; 美國哈佛大學哈佛燕京圖書館藏中文善本書志 (桂林: 廣西師範大學出版社, 2011), 2:421-422. In April 2013 I visited China with Joshua Seufert, who had been appointed in the summer of 2012 to take over most of my responsibilities in the Bodleian so that I could concentrate on cataloguing our pre-modern collections in my final years of employment. We had a very enjoyable and productive time visiting suppliers of both printed books and digital resources, mostly in Peking and Shanghai. For two days we parted company. 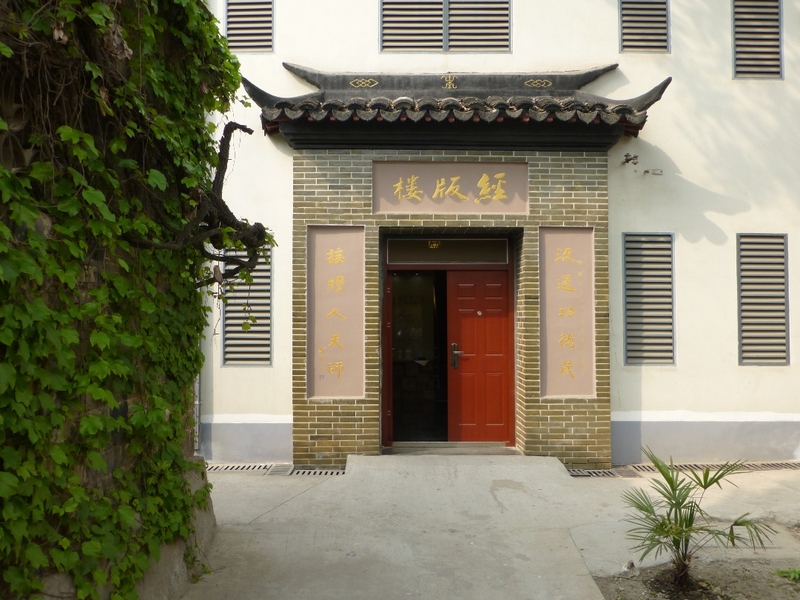 While Joshua pursued his own interests in Hangzhou, I took the opportunity of pursuing mine in Nanking to see two places which over the years had excited my curiosity. 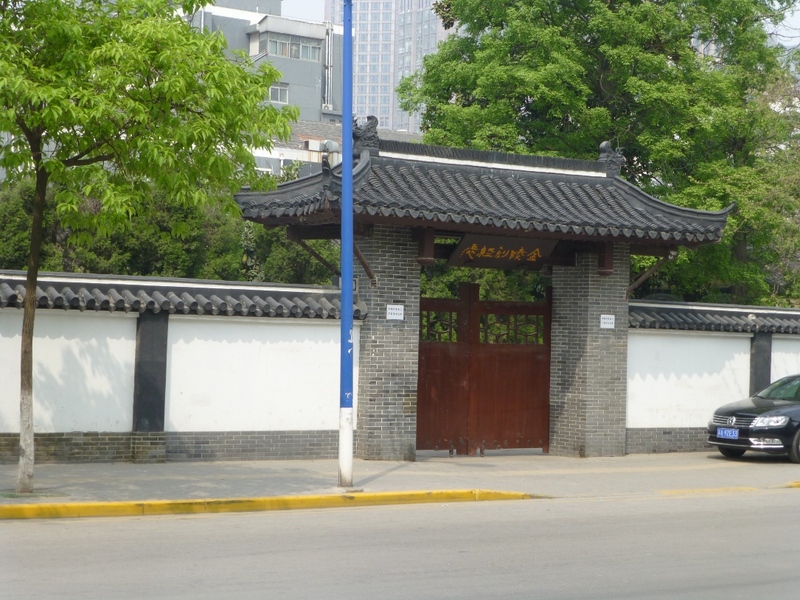 The first was the Nanjing Massacre Memorial Hall 侵华日军南京大屠杀遇难同胞纪念馆, which presents a large and detailed exposition of the atrocities committed by Japanese troops in the weeks following their occupation of Nanking on 13 December 1937; the second was the subject of this blog entry, the Jinling Buddhist Press 金陵刻經處, whose name is sometimes translated as “Jinling Scriptural Press”. If there is a connection between these two places, it is because they represent both the highest and the lowest points in the relationship between China and Japan. I had never heard of the publisher, and at the time was not particularly interested in making further investigations – I had several thousand editions to identify and could scarcely pursue scholarly research on each of them. 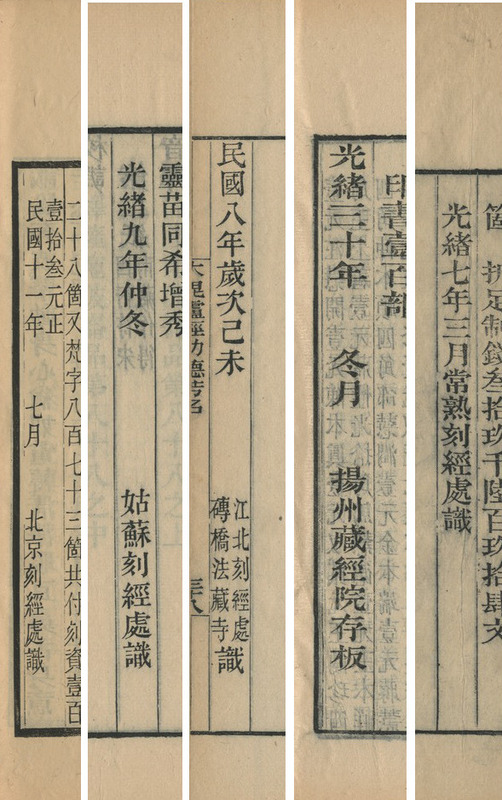 Only when I came across a further ten editions in our collections by the same publisher, together with other Buddhist works printed in identical (or very similar) format by similarly named publishers, was my curiosity aroused. 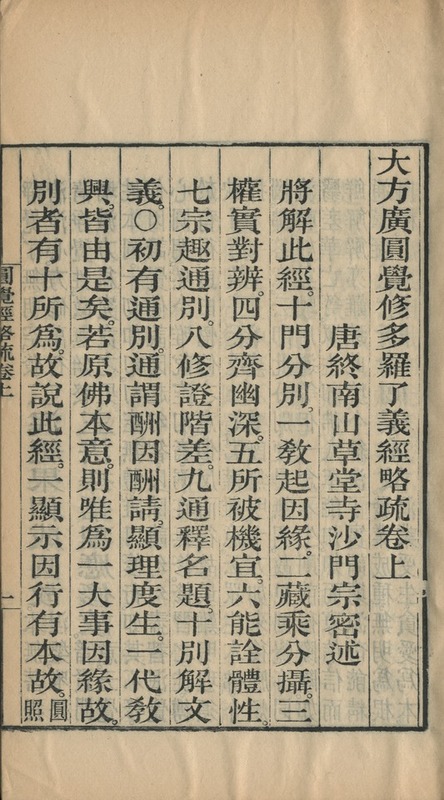 The Press was founded by Yang Wenhui 楊文會 (1837-1911, 字仁山), who had converted to Buddhism after reading the “Awakening of faith” sutra (大乘起信論) on his recovery from a serious illness in 1864. He moved to Nanking in 1866 to work on the reconstruction of the city, which had been seriously damaged during the Taiping Rebellion. 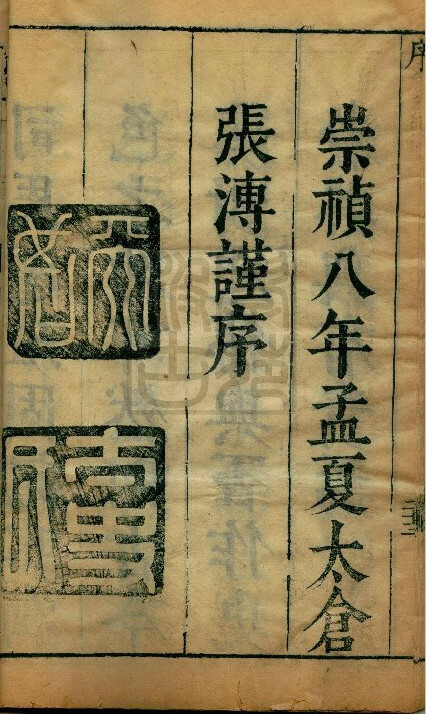 The Taipings had also been responsible for the destruction of the printing blocks of the Jiaxing Tripitaka 嘉興方冊大藏經. 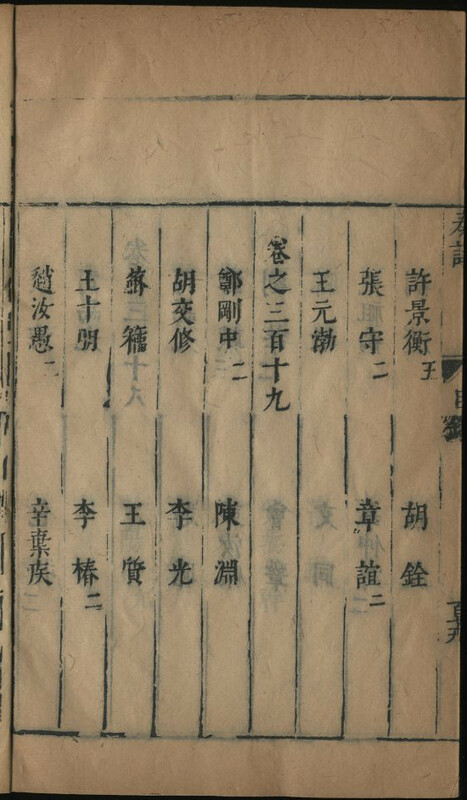 Like the Jiaxing Tripitaka, the Jinling editions were presented in thread-bound format (xianzhuang 線裝) rather than the folded binding (zhezhuang 折裝) of the imperial editions and of scriptures intended for liturgical use. And also like the Jiaxing Tripitaka, they were financed privately through individual subscription, and not by the Chinese state. 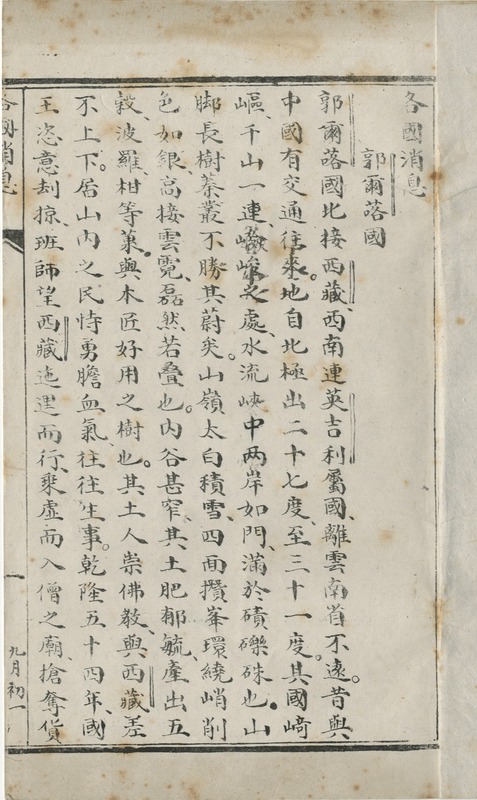 Much has now been published on the Press, including a very thorough article by Wu Yankang 武延康, which has been translated into English by Nancy Morton Tomasko and published in Princeton University’s East Asian library journal. 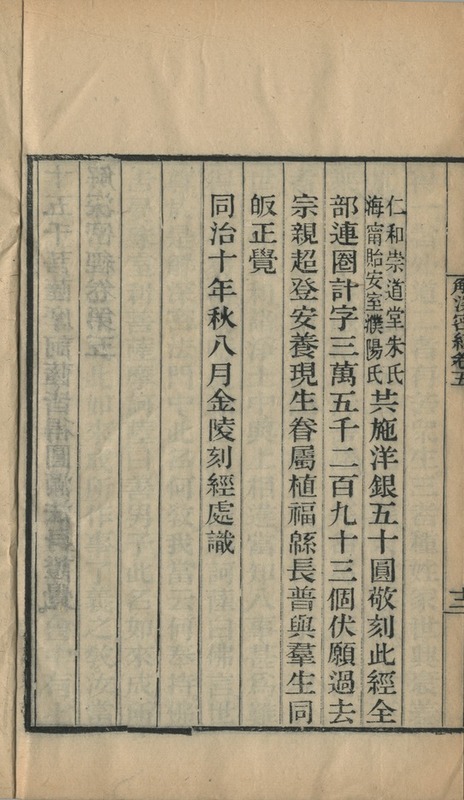 This article is replete with details of Yang’s life and work and the vicissitudes of the Press through the upheavals in Chinese history from its foundation to the present day; and very importantly, it documents the history of the printing blocks that are currently stored on the site, which number over 130,000. Before proceeding further, I’d like to mention a connection with Oxford, albeit a tenuous one. 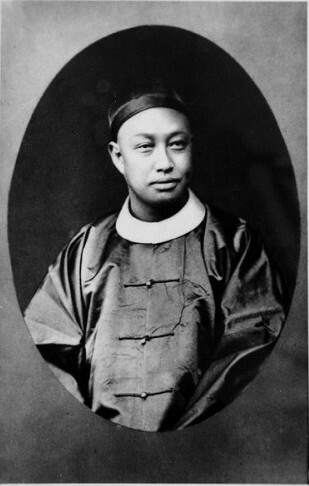 In 1878 Yang visited London. 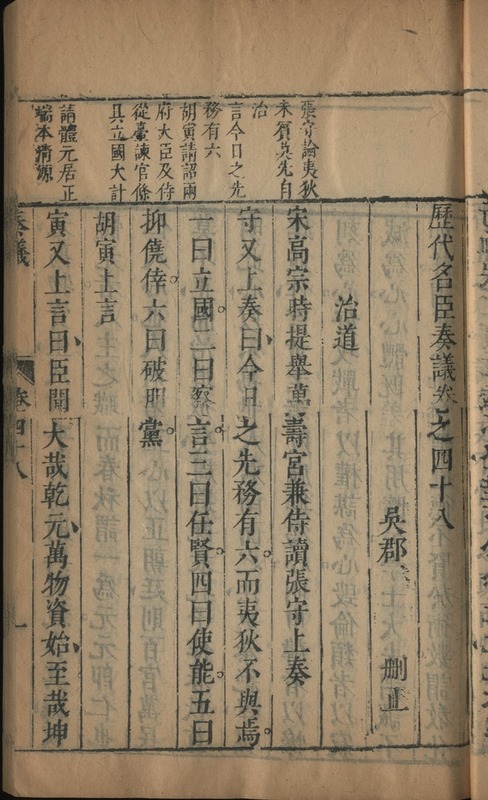 He had travelled there with Zeng Jize 曾紀澤 (the eldest son of Zeng Guofan 曾國藩) who had been sent there as minister to Britain, France, and Russia. 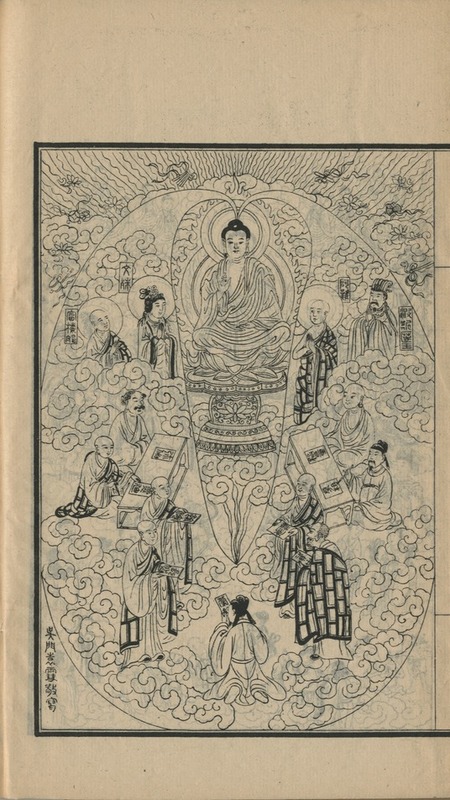 I don’t know if this was the main purpose of his visit, but during the course of his stay, he went to the British Museum (which then housed what is now the British Library) and discovered Buddhist texts that were no longer extant in China. 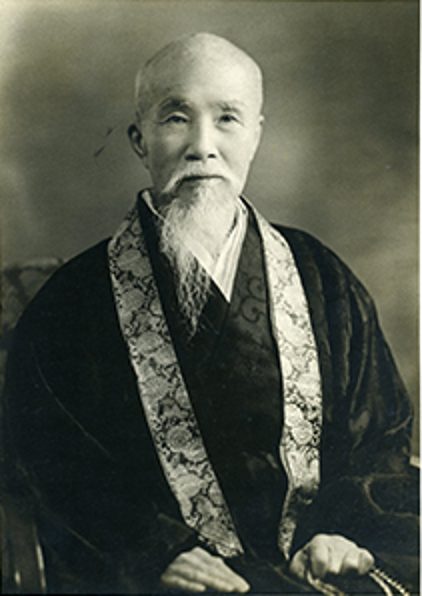 There he met Bunyiu Nanjio (Nanjō Bun’yū 南条文雄, 1849-1927), the son of a priest of the Jōdo Shinshū 浄土真宗 sect, who is remembered as one of Japan’s greatest Buddhist scholars. 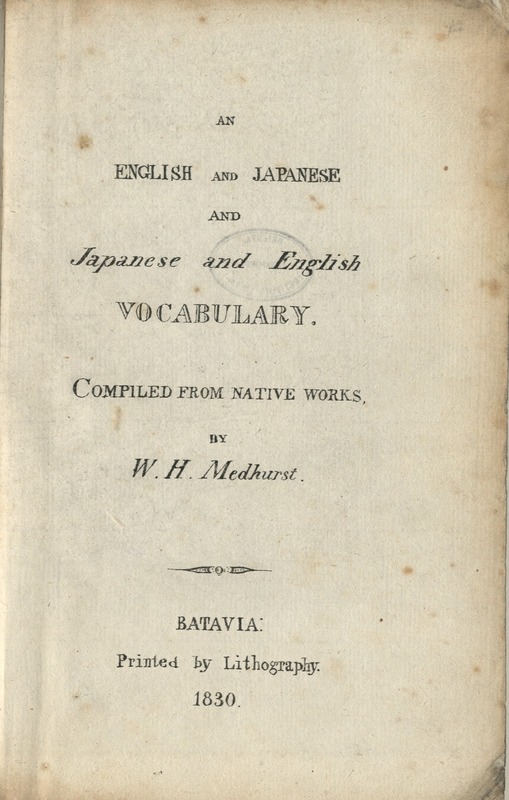 At the time, Nanjō was studying English in London so that he could then proceed to Oxford and learn Sanskrit from Max Müller. The meeting of these two men is what I had in mind when referring above to the highest point in Sino-Japanese relations. The two became good friends, and exchanged letters over the course of many years. 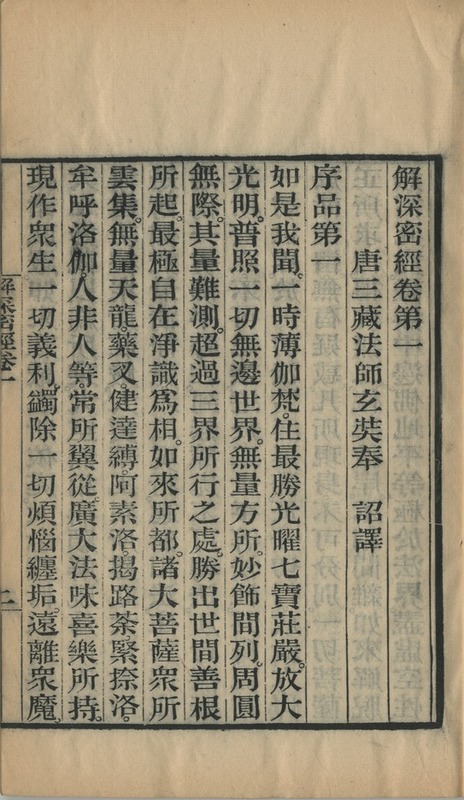 Through Nanjō, Yang obtained some three hundred texts from Korea and Japan that could no longer be found in China for reprinting at his press in Nanking; and for his part, Yang provided Nanjō with Chinese esoteric texts for the continuation of the Tripitaka that was currently being compiled in Japan, the Dainihon zokuzōkyō 大日本續蔵經, which was eventually published in Kyoto between 1905 and 1913. 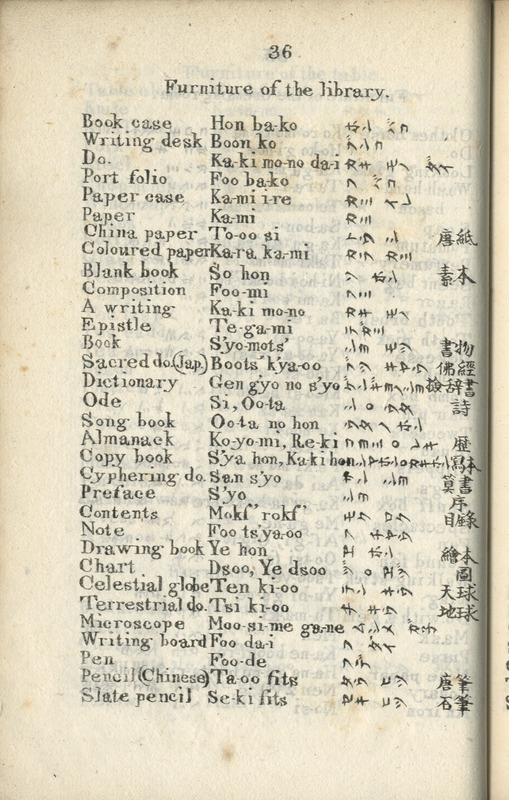 Nanjō compiled this on the basis of a copy of the Tetsugen Tripitaka 鐵眼大藏經 which had been given to the India Office library by the Japanese government in 1875. 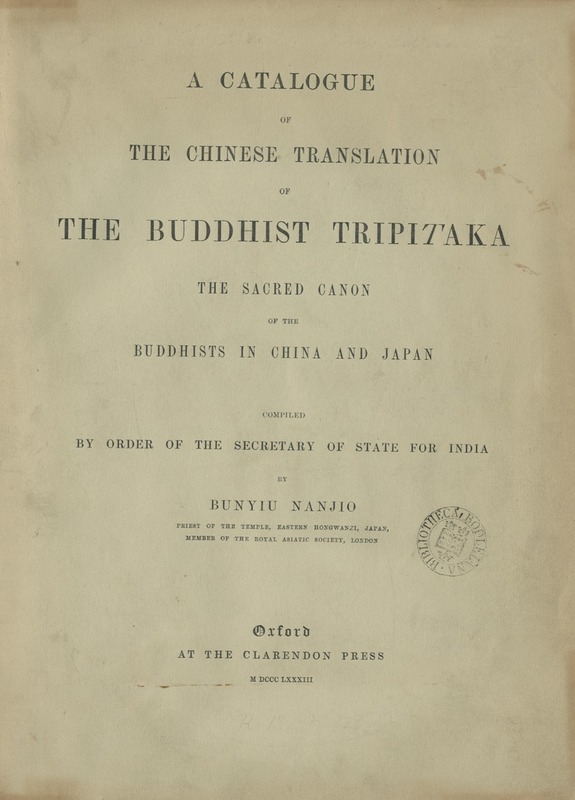 This is said to be the first complete edition of the Tripitaka to come to the western world. 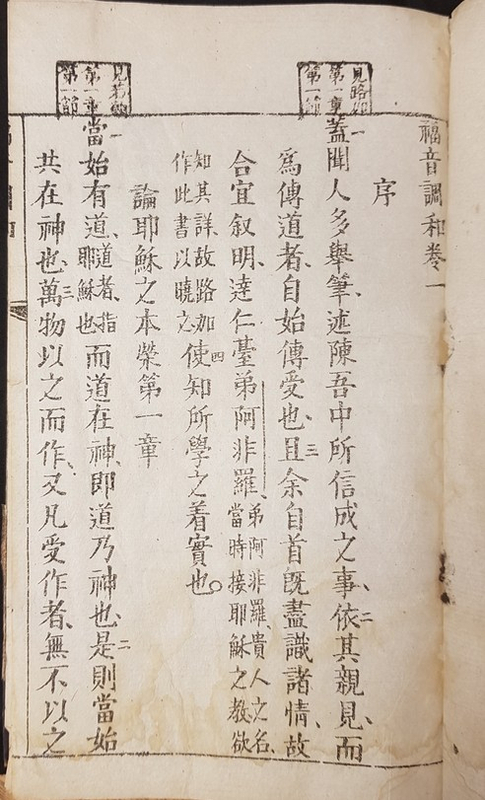 It was based on the Jiaxing Tripitaka, a copy of which had been taken to Japan by the Chinese monk Yinyuan Longqi 隱元隆琦 (1592-1673), one of the Ming loyalists who fled there in the wake of the Manchu conquest and became the founder of Japan’s Ōbaku School 黄檗宗 of Zen. There is thus a remarkable circularity in this story as well as many unexpected connections. 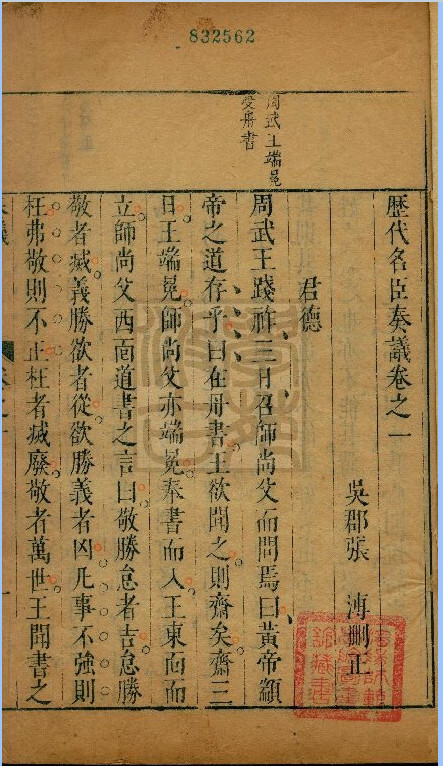 It seems that there was an informal project to reprint the entire Tripitaka by sharing the work out, but details of it are elusive, if indeed they can be discovered at all. 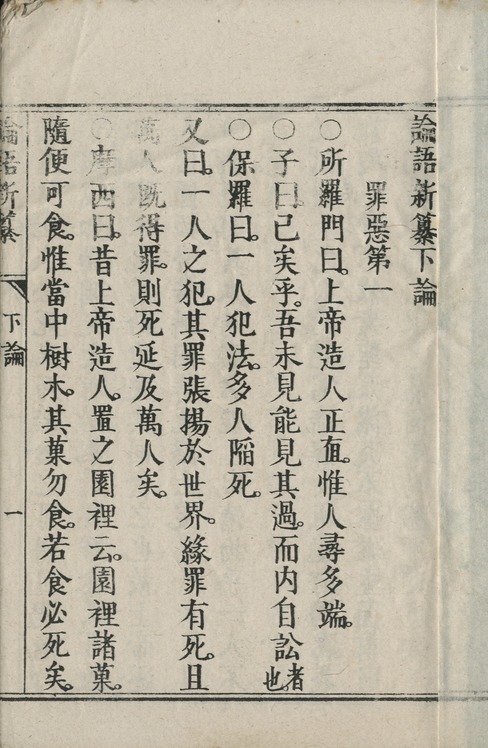 The edition has occasionally been described as the Bainaben dazangjing 百納本大藏經, but I think this term is unsatisfactory, as its component editions are far from being unrelated (as in the Bainaben ershisishi 百納本二十四) – the whole point is that they were presented in the same format as a unified whole. But the project was never completed, so that the Bainaben dazangjing 百納本大藏經 doesn’t actually exist. By ploughing through catalogues, both printed and online, I have discovered scriptures which are clearly part of this project produced by far more presses than are mentioned in any of the articles I have found on the subject; I have listed them here. It remains to take stock of what each of them printed, and over what period, and also to see if any of the texts were printed by more than one press. At first sight it appears that there was no duplication, but to establish that for sure requires more work than I’m currently minded to do. In short, it seems to have been the sort of anarchistic enterprise that gladdens the heart – or at least, it gladdens mine. 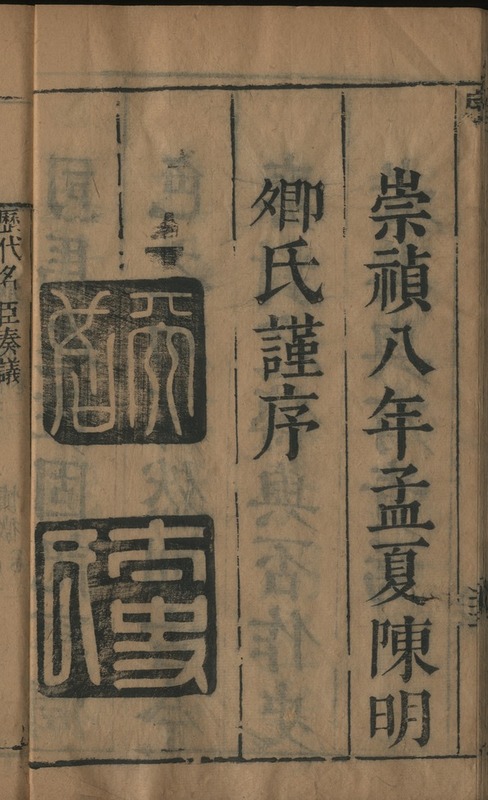 Wu Yankan: Yang Renshan and the Jinling Buddhist Press. 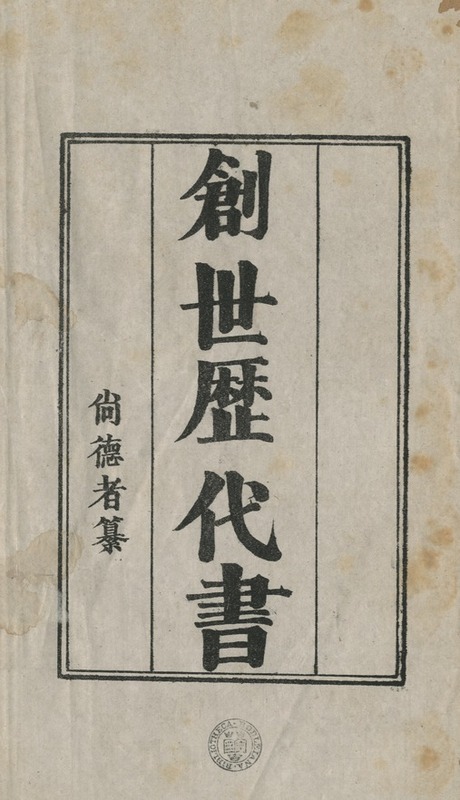 East Asian Library Journal 12:2(2006), 49-98. 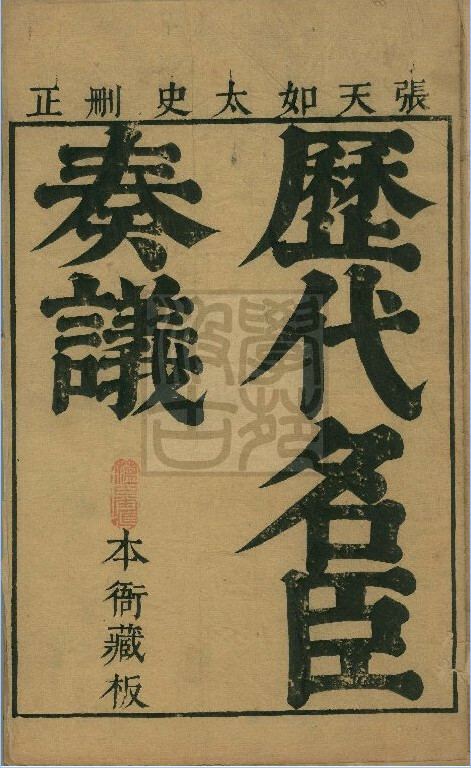 The EALJ article consistently mis-romanises Nanjō’s given name as “Bunryū”, and describes him as a monk of the “Shinto” sect, whatever that is, rather than Jōdo Shinshū. 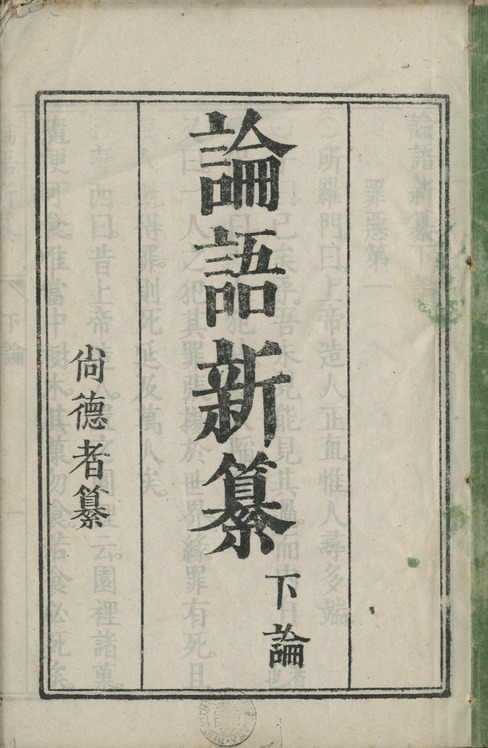 Yang’s letters are published in his collected writings: 楊仁山全集 (合肥: 黃山書社, 2000). 杨之峰: 中国近代的百衲本大藏经. 图书馆工作与研究 163(2009:9), 78-80.